Explanation: The Great Nebula in Orion, an immense, nearby starbirth region, is probably the most famous of all astronomical nebulae. Here, glowing gas surrounds hot young stars at the edge of an immense interstellar molecular cloud only 1500 light-years away. In the above deep image, faint wisps and sheets of dust and gas are particularly evident. 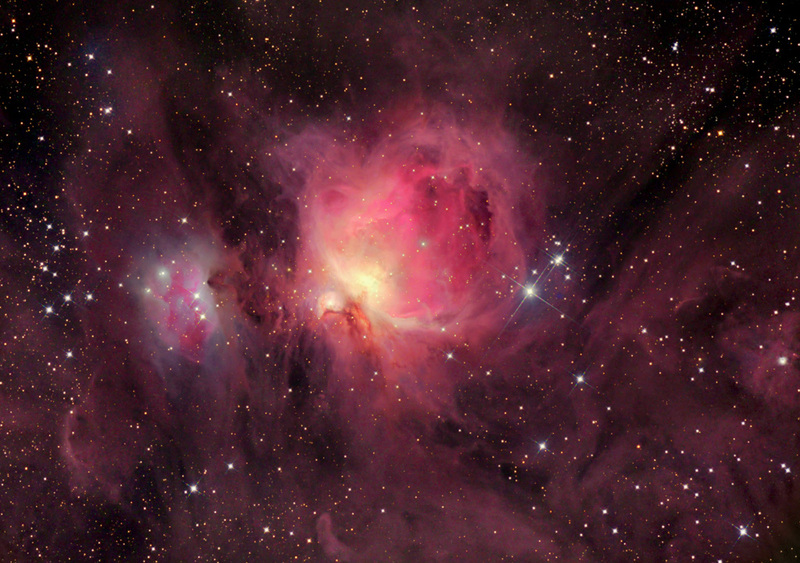 The Great Nebula in Orion can be found with the unaided eye just below and to the left of the easily identifiable belt of three stars in the popular constellation Orion. In addition to housing a bright open cluster of stars known as the Trapezium, the Orion Nebula contains many stellar nurseries. These nurseries contain hydrogen gas, hot young stars, proplyds, and stellar jets spewing material at high speeds. 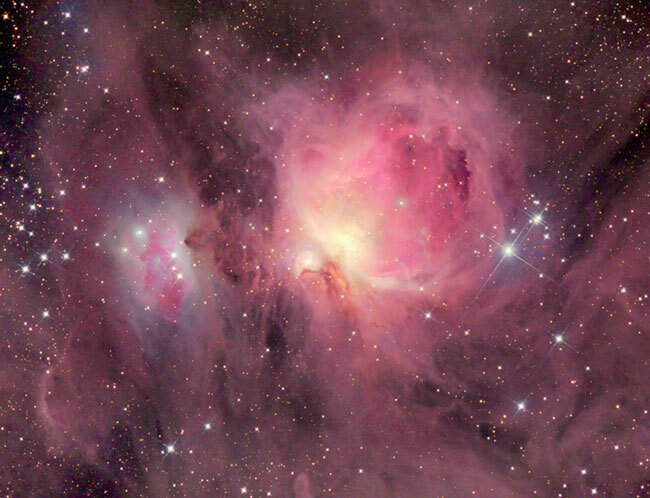 Also known as M42, the Orion Nebula spans about 40 light years and is located in the same spiral arm of our Galaxy as the Sun.